A BEAUTIFUL FEELIN': Last summer's production of OKLAHOMA! 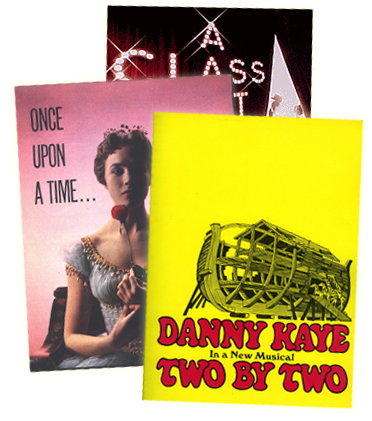 at Britain's Royal National Theatre broke house records and made RNT history during its sold-out, three-month engagement there...Directed by Trevor Nunn and choreographed by Susan Stroman, it became the summer's ""must-see,"" attracting the likes of Dustin Hoffman, Kiri Te Kanawa, Stacey Keach, Gary Oldman, Harold Pinter, Joel Grey, Bernadette Peters, Lord Jeffrey Archer, Prime Minister Tony Blair and, from the House of Windsor, Princess Margaret and the Queen Mother, Elizabeth... Cameron Mackintosh, whose Foundation provided a grant for the summer run, is currently presenting the RNT production of OKLAHOMA! at the Lyceum Theatre in London's West End for a limited season through June 26; for tickets (from the U.S) call 01144-870-606-3446..In December, only 52 years after its London premiere, OKLAHOMA! won that city's prestigious Evening Standard Award for ""Best Musical,"" presented to Nunn by James Hammerstein... Plans to bring this production to America are under discussion. IT AIN'T TOO EARLY: In a recent survey, 2000 members of New York's Drama League were asked to name the greatest musicals of the past 100 years; by their count, OKLAHOMA! ranks as the Best Musical of the Century... SHOW BOAT rounded out the top 5, and THE KING AND I and SOUTH PACIFIC also made it into the top 20. LONG LIVE THE KING: The Academy-Award-winning 1956 film version of THE KING AND I leads a set of five R&H movie musicals newly reissued from Fox Home Video and due in stores March 9...Featuring all new packaging, bonus material and THX digital remastering, this R&H collection also includes OKLAHOMA!, 1945's STATE FAIR, CAROUSEL and SOUTH PACIFIC...For more on these films, visit www.foxhome.com. LET'S HEAR IT FOR THE BOYS: New R&H writers Dean Pitchford and Tom Snow now have a major Broadway smash on their hands, as their 1984 movie musical FOOTLOOSE has become a hot stage property... Within days of its Broadway premiere in October, FOOTLOOSE set and repeatedly broke house records at the Richard Rodgers Theater, its Broadway bow igniting a swirl of coverage on MTV and VH-1, and catapulting FOOTLOOSE to the head of Macy's Thanksgiving Day Parade on NBC...In January QVC, the home shopping network, released the Original Broadway Cast recording on its Q label...Meanwhile, in a move noteworthy for its speed, the North American National Tour of FOOTLOOSE was launched less than two months after the Broadway opening...Produced for the road (as on Broadway) by Dodger Endemol Theatricals, and with its Broadway director (and co-author) Walter Bobbie and choreographer A.C.Ciulla repeating their tasks, the tour of FOOTLOOSE opened in Cleveland in December, with visits this spring to include Cincinnati, Houston, Dallas, Denver, Minneapolis, Seattle and Los Angeles...FOOTLOOSE will continue dancing its way across America well into the year 2000, with more dates to follow...For more on FOOTLOOSE, visit www.footlooselive.com. YOU'VE GOT MAIL: The bad news in 1999, first class U. S. postage is going up to 33 cents...The good news this year will see the release of a ""Broadway Songwriters"" series that includes such giants as Lerner & Loewe, George & Ira Gershwin, Frank Loesser, Meredith Willson and our own Rodgers & Hammerstein and Lorenz Hart...Philatelic musical mavens will recall that, in March 1993, OKLAHOMA! was the first Broadway musical to be commemorated with a U.S. postage stamp (see Happy Talk, Vol. I, No. 1), and was subsequently reissued alongside MY FAIR LADY, PORGY AND BESS and SHOW BOAT... The ""Broadway Songwriters"" series will be released in September. YOUNGER THAN SPRINGTIME: As noted elsewhere in this issue, this spring marks the 50th Anniversary of SOUTH PACIFIC, the R&H blockbuster that earned nine Tony Awards and the Pulitzer Prize...Its popularity over the past half century has continued to soar since that original Broadway run, followed by London, the movie version, a long U.S. national tour and literally thousands of productions across the U.S. and throughout the world ever since...The R&H Theatre Library continues to license over 300 productions of SOUTH PACIFIC in the U.S. and Canada every year; major productions this spring are slated for Raleigh, San Jose, Dallas, and Atlanta...A Japanese-language revival will open in Tokyo in March, presented by Toho, with Maki Ichiro (Anna in Toho's KING AND I last year) as Nellie Forbush. THOU SWELL: 1999 is turning into a swell year for Rodgers & Hart...BEGUILED AGAIN, a revue of their songs that was the toast of Palm Beach in the Summer of '97, has beguiled them again in a new production by Florida Stage which concludes in early February; the R&H Theatre Library plans to make BEGUILED AGAIN available for production later this year...In February, New York City Center's acclaimed Encores! concert series will open its sixth season with BABES IN ARMS and, across the country, the Los Angeles concert series, Reprise!, will present THE BOYS FROM SYRACUSE next fall. THOU WITTY: In January, fans were treated to a Rodgers & Hart TV documentary-concert tribute from PBS' ""Great Performances"" and the BBC...Produced and directed by David Thompson, co-produced by John Walker with lavishly-recreated musical sequences directed by David Horn, THE RODGERS & HART STORY: THOU SWELL, THOU WITTY featured recollections from veteran performers, family and friends of the famous pair, including Eddie Albert, Hugh Martin, June Havoc, Eddie Bracken, Mary Rodgers, Dorothy Hart, and Hart's longtime friend Larry Adler...Interspersed were renditions of such R&H signature songs as ""Falling in Love with Love,"" ""Where or When"" and ""Sing for Your Supper"" performed by Brian D'Arcy James, Christine Ebersole, Susan Egan, Debbie Gravitte, Mary Cleere Haran, Jane Krakowski, Rebecca Luker, Stanley Mathis and Ron Raines, sung to the original orchestrations in authentic period style under the musical direction of the masterful Rob Fisher...THE RODGERS & HART STORY is slated for repeat airings on PBS later this year. BERLIN STORIES: A new biography, IRVING BERLIN: A LIFE IN SONG by Philip Furia, was published by Schirmer Books in November, to be followed by a March '99 release of IRVING BERLIN: AMERICAN TROUBADOUR (Henry Holt), by Edward Jablonski...Berlin's work was also profiled in two diverse forums this fall: Vocalist Susannah McCorkle (who released a sublime Berlin CD, LET'S FACE THE MUSIC, in '97) wrote a fascinating and introspective portrait of Berlin for the November issue of American Heritage magazine while Gary Giddins focused on Berlin's compositions from a jazz perspective in his essay ""Ragging the Alley"" from VISIONS OF JAZZ: THE FIRST CENTURY (Oxford University Press)...Berlin's lyrics are so wedded to his melodies that they are rarely considered on their own, but that should change after the publication of THE COMPLETE LYRICS OF IRVING BERLIN, a tome comprised of more than 1200 song texts, currently being edited by Robert Kimball and Berlin's daughter Linda Emmet and slated for publication by Knopf in 2000...In a novel use of Berlin's lyrics-as-poetry, his wording for the song ""Always"" is featured on the New York City Transit system's popular ""Poetry in Motion"" series from January through March '99, with over 1000 subway cars and 1000 buses displaying the lyric for its riders and readers... Planning ahead: A&E's acclaimed BIOGRAPHY series has begun work on a major two-hour portrait of Irving Berlin; look for a broadcast premiere at the turn of the century. TUNING UP THE MUSIC BOX: The Music Box Theatre, one of Broadway's most cherished and historic playhouses, was built by Irving Berlin and Sam Harris in 1921 to the tune of what was, in those days, a princely sum #151; $947,000 (see Happy Talk, Vol. 2, No. 2)...Co-owned today by the Estate of Irving Berlin and The Shubert Organization, the Music Box has just completed a $4 million renovation, bringing the theatre up to modern standards while restoring the classical interior to its original lustre...An exhibit on Irving Berlin and his MUSIC BOX REVUES, installed in the theatre's lower lounge in 1994, has been relocated to the front lobby and is open to the public during regular box office hours...In March, the Music Box will reopen with Patrick Marber's Olivier Award-winning London hit, CLOSER.